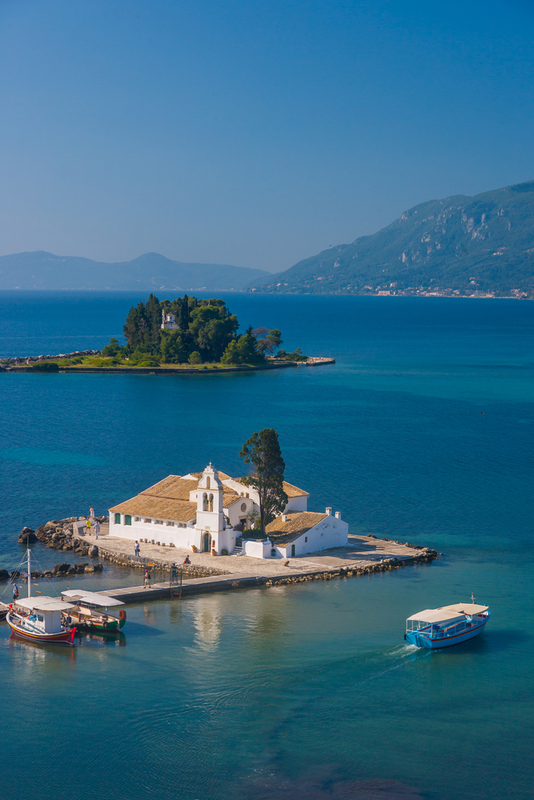 The second largest of the Ionian islands, Corfu is closer to Italy than to Athens and also has strong connections with the UK. Apart from the Durrells, it’s the birthplace of the Duke of Edinburgh, and there’s even a cricket pitch in the old town (reduced in size in recent years to create more parking) which dates from British occupation in the 19th century. Cruise ships berth 15 minutes by coach from Corfu Town but you can walk it if you prefer. The island’s capital has been officially declared a Kastropolis (“castle city”) by the Greek government, so there’s plenty for history buffs to enjoy, while Paleokastritsa, in the northwest of the island, is worth visiting for its beaches and its monastery. Best souvenir: Give the tackier shops a miss and look instead for natural cosmetics or kitchen tools carved from olive wood. There’s no trace of the Colossus of Rhodes, the giant statue that once bestrode the harbour as one of the SevenWonders of the Ancient World, but the largest of the Dodecanese islands still has plenty to offer. TheKnights of St John left their mark on the city, which is a UNESCO World Heritage site, and a walk around the Old Town could take in the Street of the Knights, the Palace of the Grand Masters – home to an excellent museum – and Hippocrates Square. Renting a car is the best way to explore the rest of the island but beware traffic jams: Rhodes is a tourist honeypot and it does get busy. 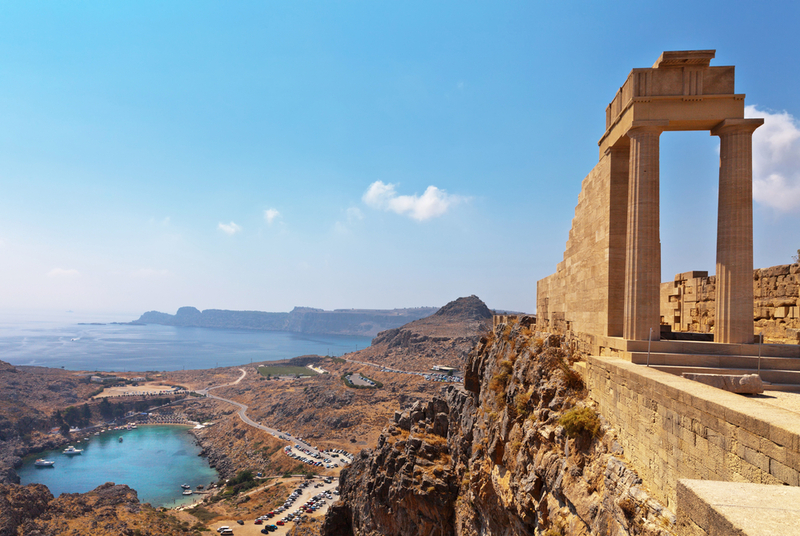 Don’t miss: The Acropolis of Lindos and the surrounding (traffic-free) town – definitely worth a half-day excursion by hire car or coach. Further south, the cliffs were used as a location for the famous 1961 war film The Guns of Navarone. 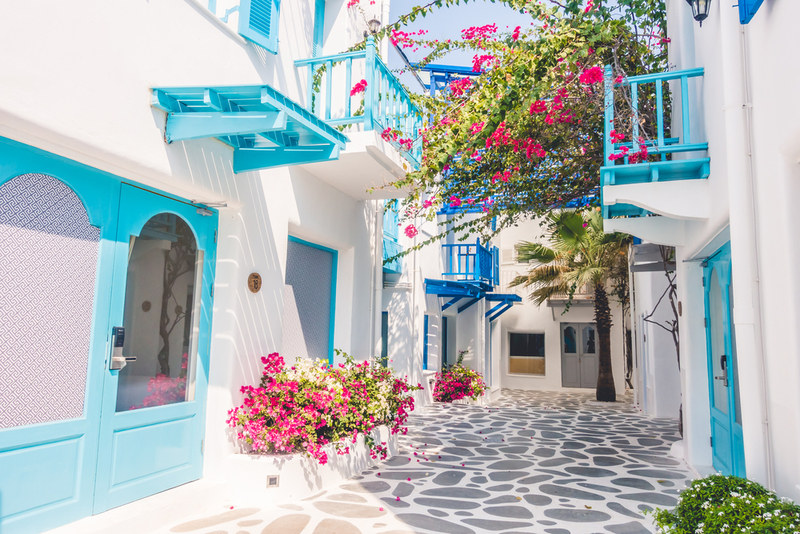 If you prefer your Greek islands smaller and more tranquil, Patmos – with a population of 3,000 and an area of just21 square miles – could be for you. Named by Forbes Magazine as the most idyllic place to live in Europe, it’s also famous as the site where St John wrote the Book of Revelation – at least according to legend. A UNESCO World Heritage site, officially designated as a Holy Island by the Greek government, Patmos is still an important place of Christian pilgrimage today. The Monastery of St John dominates the main town, standing above the characteristic white cube houses. What to do: The volcanic scenery is fringed by excellent beaches, and while Patmos is definitely not the place to come if you’re in search of shopping or nightlife, you will find shops and restaurants, as well as some bars and clubs, around the main harbour at Skala. Party central – that’s Mykonos town, loved for its sybaritic lifestyle and hedonistic nightlife. It’s also one of the most LGBT-friendly destinations in the Mediterranean region. Most cruise ships stay for only a day, so clubs are unlikely to feature in the itinerary, but visitors can make the most of photo opportunities – especially the windmills, which are a prominent postcard feature. You may also get to meet the latest incarnation of Petros the pelican – the island’s mascot. Cruise ships berth a 10-minute shuttlebus ride from the main car park, from where it’s another 10-minute walk along the coast into town. Seek out the little museum, full of interesting maritime artefacts. What to see: Don’t miss Little Venice, the balconied fishing houses on the sea front, most of which are now enticing bars and restaurants. Today’s island is what remains after a massive volcanic eruption about 3,600 years ago, which is believed to have wreaked havoc throughout the eastern Mediterranean and destroyed the Minoan civilisation on Crete. Visiting cruise ships anchor in the caldera, or sunken crater, and passengers are taken ashore by local tender boats to a landing stage at the foot of precipitous cliffs. From there a cable car takes you to the town of Fira with its sugar-cube houses and famous bluedomed churches (this is preferable to the donkey-ride alternative). A chic town packed with boutique hotels and designer clothes shops, Fira is also the perfect spot to relax with a drink while admiring your ship in the bay below. 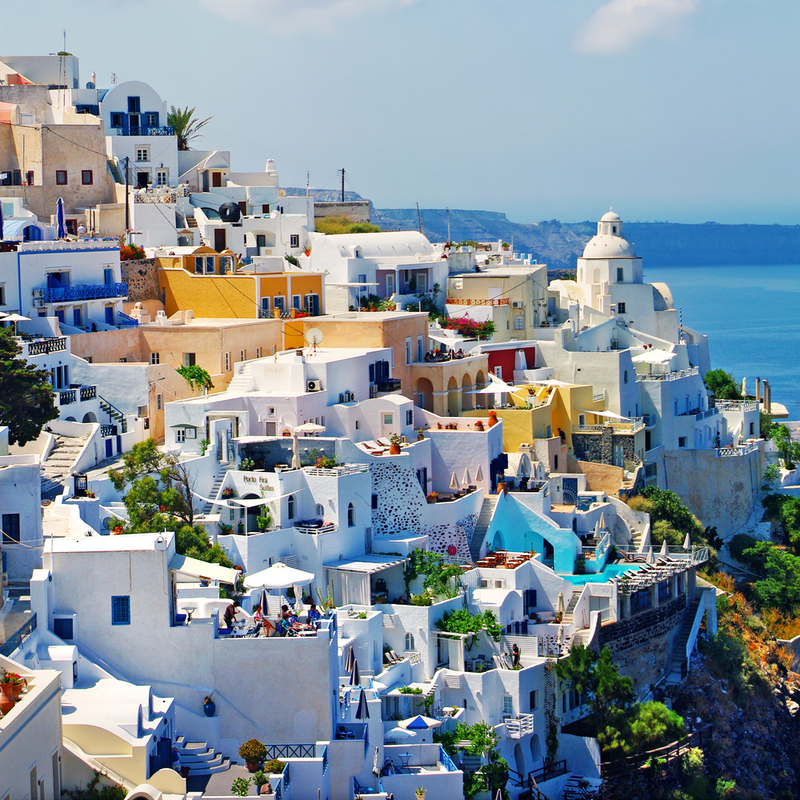 Optional excursion: If time allows, take a trip to Oia, used as a location for Angelina Jolie’s second Tomb Raider film. 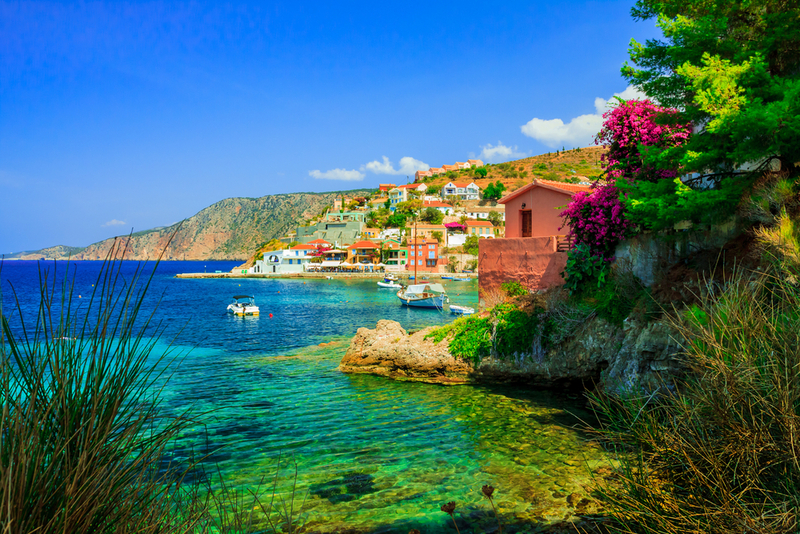 Largest of the Ionian islands, Kefalonia (also called Cephalonia) h as largely escaped mass tourism, but will be known to many as the setting for Louise de Bernière’s novel Captain Corelli’s Mandolin. The mileand-a-half curve of Myrtos Beach will also be familiar to anyone who has seen the film adaptation. For the energetic there are mountains to hike and the caves of Drogorati to explore (the famous opera diva Maria Callas is one of many to have made use of their acoustics). Other activities include cycling and horse-riding, and the island is also rich in archaeology and wildlife, including the famous but endangered loggerhead turtles. What to do? Scottish visitors might be interested in visiting the Monastery of Agios Andreas, which houses a relic claimed to be the right foot of St Andrew. Minoan civilisation was centred on Knossos, claimed as the oldest city in Europe, and a popular excursion from Heraklion. The site was heavily restored by English archaeologist Arthur Evans in the early 20th century. The wide Venetian harbour at Chania is surrounded by bustling bars, restaurants and tavernas. Feeling fit? Hike the Samarian Gorge, one of several canyons in Crete’s rugged mountains. Best Souvenirs: Fresh herbs, olive oil and honey from the covered market in Chania. 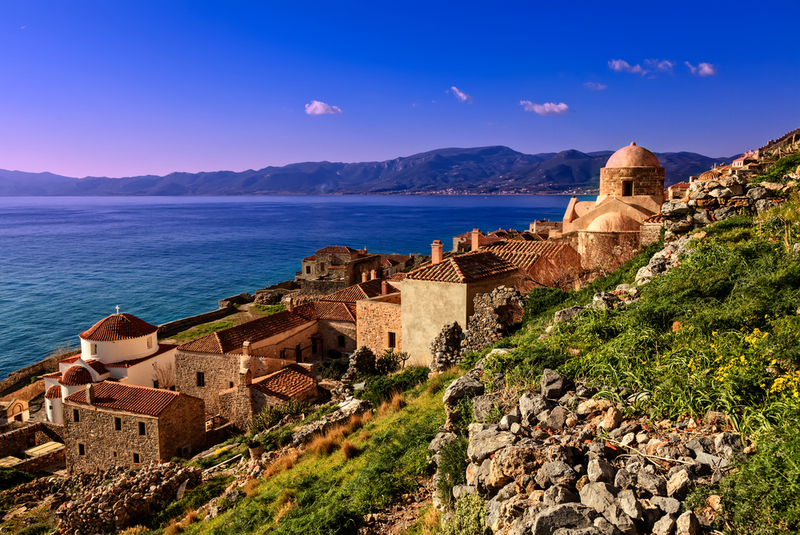 Dubbed the Gibraltar of the East, Monemvasia is an island in the Peloponnese, about 100 miles south of Athens. Only 330 yards wide and 1,100 yards long, it is traffic-free and connected to the mainland by a short walk along a causeway. The walled fortress town is a blend of Byzantine, Venetian and Ottoman influences, all extensively restored in recent years. It claims to have more churches than residents. A strenuous climb takes visitors to the upper town whose buildings lie abandoned, but the journey is worthwhile for the far-reaching views. Although off the beaten track and infrequently visited by cruise ships, the island is packed with bars, restaurants and tavernas. Raise a glass: Malvasia, the grape used to make the sweet fortified wine known as Malmsey, is named after the Italian for Monemvasia. 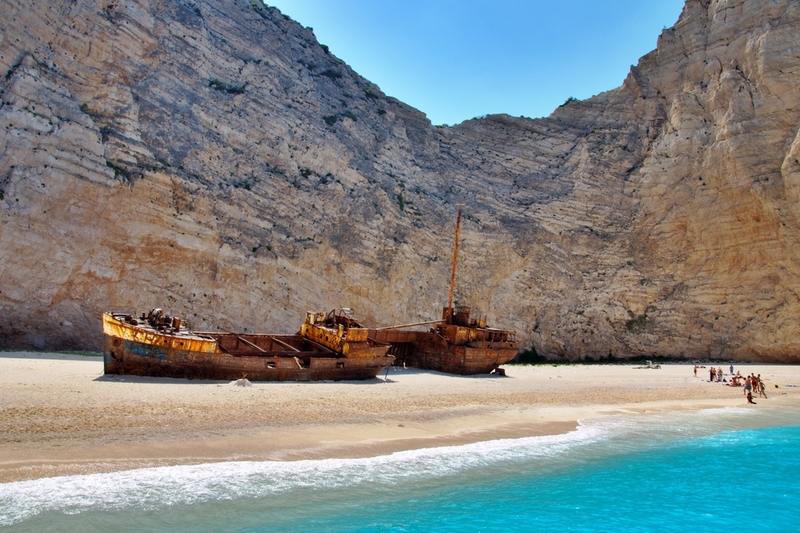 Also known as Zante, the southernmost of the major Ionian islands is famous for its Shipwreck Cove, where cargo ship MV Panagiotis ran aground in 1980 and still lies on the otherwise pristine beach. The beach, like the sea floor, is formed of white pebbles and is accessible only by boat. 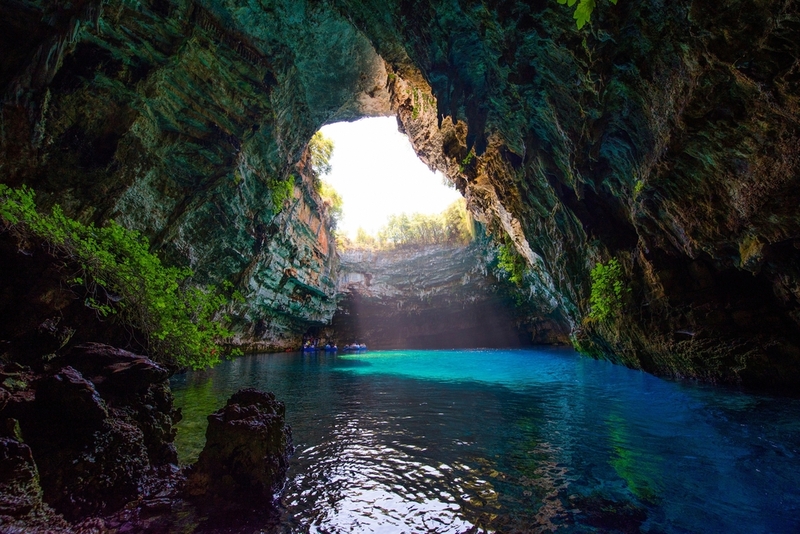 A visit here forms part of a popular P&O Cruises excursion, which also includes the Blue Caves that pierce the cliffs around Cape Skinari. The island’s northern and easternshores feature wide sandy beaches – six miles long at Laganas – and the islanders take pride in protecting visiting sea turtles and seals. Much of the main town’s prominent Venetian architecture has been restored after damaging earthquakes in 1953. Feeling brave? The cliffs at Shipwreck Cove – also known as Navagio Beach – are a popular venue for the extreme sport known as base jumping, and the crystal-clear waters are a magnet for scuba divers. Yes, we realise that Athens is not an island, but the chances are that a cruise to the Aegean will begin or end at the Greek capital, or will include a visit in the itinerary. The port is at Piraeus, about seven miles from the city centre, and most cruise lines provide shuttle buses and numerous excursions. 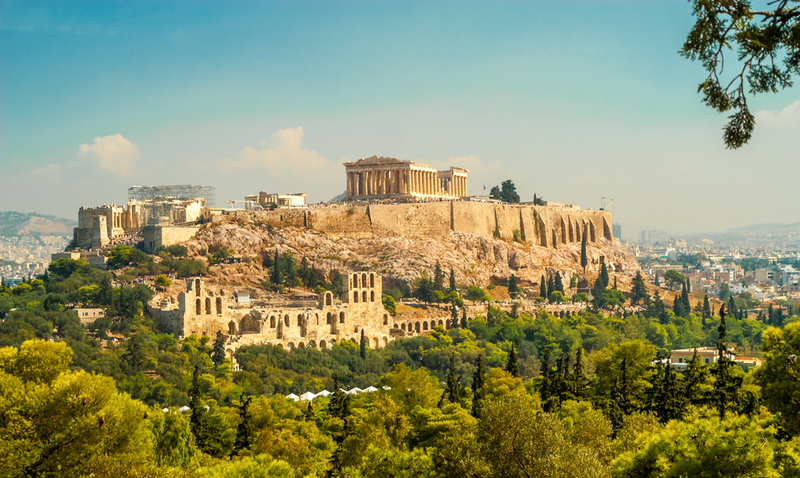 The Acropolis is a must for first-timers, andthe Acropolis Museum contains reproductions of the Parthenon’s frieze – the Elgin Marbles – which are among the treasures of the British Museum in London (this is not the place to bring your Union Jack rucksack). Try to catch the changing of the guard at the Tomb of the Unknown Soldier in front of the Parliament Building. After standing perfectly still for 60 minutes, the mini-skirted soldiers shake the pom-poms on their feet in a slow-motion performance that could have inspired Monty Python’s Ministry of Silly Walks.